Today we commemorate the triumphal victory in the Battle of Lepanto, thanks to the intercession of Our Lady of the Rosary. 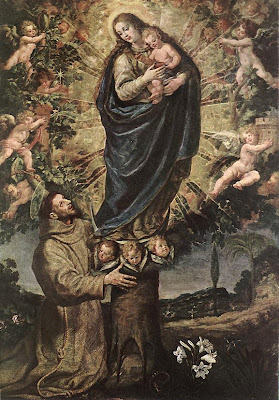 Even before that time, prayers to the Rosary were instrumental in defeating heresies and other enemies of the Church. "...who will not remember how great trouble and grief God's Holy Church suffered from the Albigensian heretics, who sprung from the sect of the later Manicheans, and who filled the South of France and other portions of the Latin world with their pernicious errors, and carrying everywhere the terror of their arms, strove far and wide to rule by massacre and ruin. 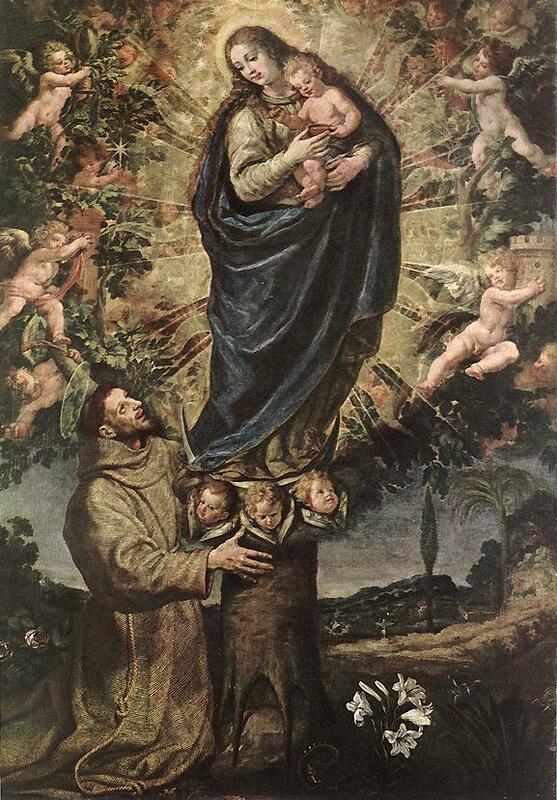 Our merciful God, as you know, raised up against these most direful enemies a most holy man, the illustrious parent and founder of the Dominican Order. 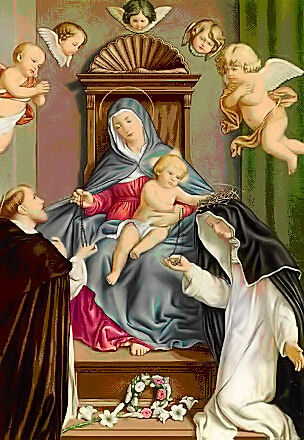 Great in the integrity of his doctrine, in his example of virtue, and by his apostolic labours, he proceeded undauntedly to attack the enemies of the Catholic Church, not by force of arms; but trusting wholly to that devotion which he was the first to institute under the name of the Holy Rosary, which was disseminated through the length and breadth of the earth by him and his pupils. 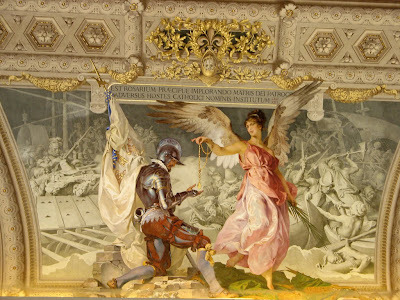 Guided, in fact, by divine inspiration and grace, he foresaw that this devotion, like a most powerful warlike weapon, would be the means of putting the enemy to flight, and of confounding their audacity and mad impiety. Such was indeed its result. 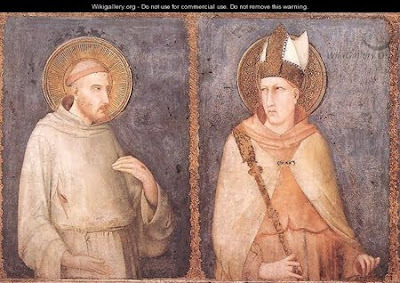 Thanks to this new method of prayer-when adopted and properly carried out as instituted by the Holy Father St. Dominic-piety, faith, and union began to return, and the projects and devices of the heretics to fall to pieces. 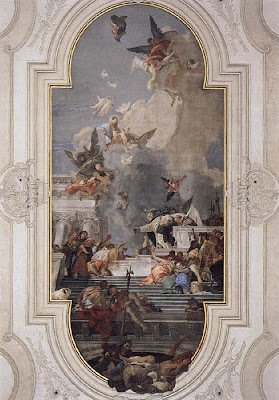 Many wanderers also returned to the way of salvation, and the wrath of the impious was restrained by the arms of those Catholics who had determined to repel their violence..."
- Urban IV: "every day the Rosary obtained fresh boon for Christianity." 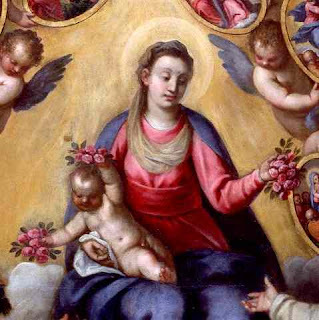 - Sixtus IV: "redounded to the honour of God and the Blessed Virgin, and was well suited to obviate impending dangers;"
- Leo X: "it was instituted to oppose pernicious heresiarchs and heresies;"
- Julius III: "the glory of the Church." 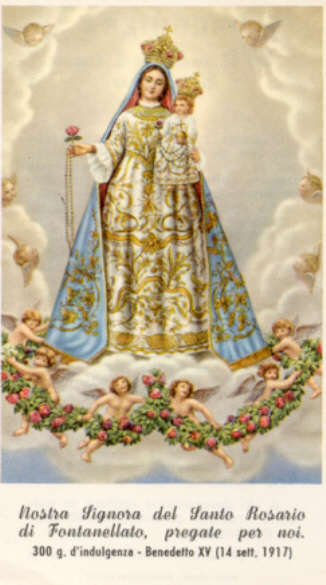 - St. Pius V: "with the spread of this devotion the meditations of the faithful have begun to be more inflamed, their prayers more fervent, and they have suddenly become different men; the darkness of heresy has been dissipated, and the light of Catholic faith has broken forth again." 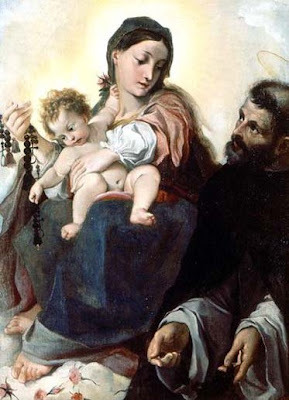 - Gregory XIII: "the Rosary had been instituted by St. Dominic to appease the anger of God and to implore the intercession of the Blessed Virgin Mary." 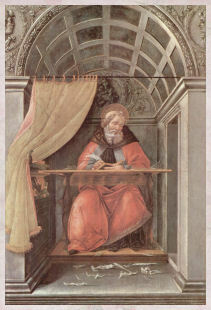 "In as much as the enemies of Christianity are so stubborn in their aims, its defenders must be equally staunch, especially as the heavenly help and the benefits which are bestowed on us by God are the more usually the fruits of our perseverance..."
"...Care must be taken, therefore, that, in these times of mourning for the Church, the most holy devotion of the Rosary of Mary be assiduously and piously observed, the more so that this method of prayer being so arranged as to recall in turn all the mysteries of our salvation, is eminently fitted to foster the spirit of piety...."
"With respect to Italy, it is now most necessary to implore the intercession of the most powerful Virgin through the medium of the Rosary, since a misfortune, and not an imaginary one, is threatening-nay, rather is among us..."
He also clearly stated how the Church was to observe and commemorate the Feast of Our Lady of the Rosary in his encyclical Superior Anno. "...We therefore decree and make order that from the 1st of October to the 2nd of November following in all the parish churches [curialibus templis], in all public churches dedicated to the Mother of God, or in such as are appointed by the Ordinary, five decades at least of the Rosary be recited, together with the Litany..."
Please sure to read it in its entirety! "...Now, to appease the might of an outraged God and to bring that health of soul so needed by those who are sorely afflicted, there is nothing better than devout and persevering prayer, provided it be joined with a love for and practice of Christian life. And both of these, the spirit of prayer and the practice of Christian life, are best attained through the devotion of the Rosary of Mary..."
"...For We are convinced that the Rosary, if devoutly used, is bound to benefit not only the individual but society at large..."
The Holy Father also wrote a beautiful fourth encyclical on the Rosary entitled Laetitiae Sanctae or Sacred Joy. Highly recommended by my mom. 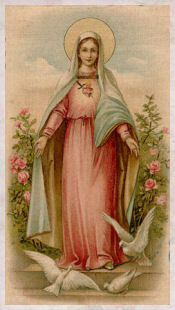 She gives me the heads up for the shows to watch on EWTN. This one is a must see according to her. ST. PAUL, Minnesota, SEPT. 27, 2011 (Zenit.org).- Thousands of children will gather at the Basilica of the National Shrine of the Immaculate Conception in Washington, [0.8327759197324415] D.C., next month to offer Our Lady a "Golden Rose" and to pray before the Holy Eucharist. 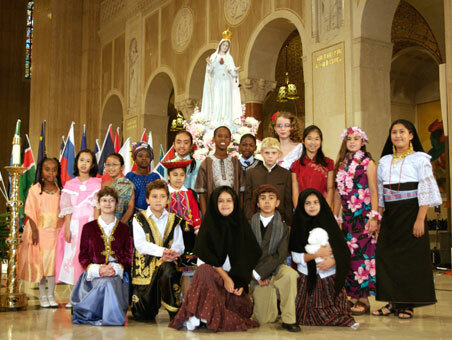 The youngsters will represent children from 140 nations who will participate Oct. 7 in the 9th annual Worldwide Children's Eucharistic Holy Hour, which will be broadcast live around the world on Eternal [0.5768261964735516] World Television Network (EWTN), and translated for Spanish-speaking countries. 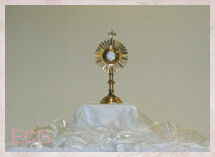 The "Holy Hour unites children around the world before the Blessed Sacrament to console the Eucharistic Heart of Jesus and to pray for the families of the world, a mission entrusted to them by Blessed John Paul II in his Christmas Letter to the World's Children, in 1994, at the close of the International Year of the Family." Archbishop Gregory Aymond of New Orleans will preside at the main event in the basilica, which is co-sponsored by Children of the Eucharist, the children's program of the World Apostolate of Fatima, and the Holy Childhood Association. 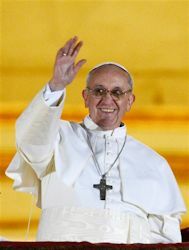 A growing number of dioceses, parishes and schools on every continent are participating in the event every year, according to Connie Schneider, founder and international chairwoman. She added, "This global Holy Hour gathers our children before the Eucharistic Heart of Jesus to console him, as requested by the Angel of Peace at Fatima, and to pray for our own families and the families of the world." 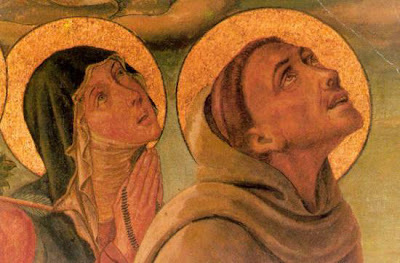 Today we celebrate the feasts of a saint and hopefully, a soon to be canonized saint...both very humble yet great in the eyes of the Church. 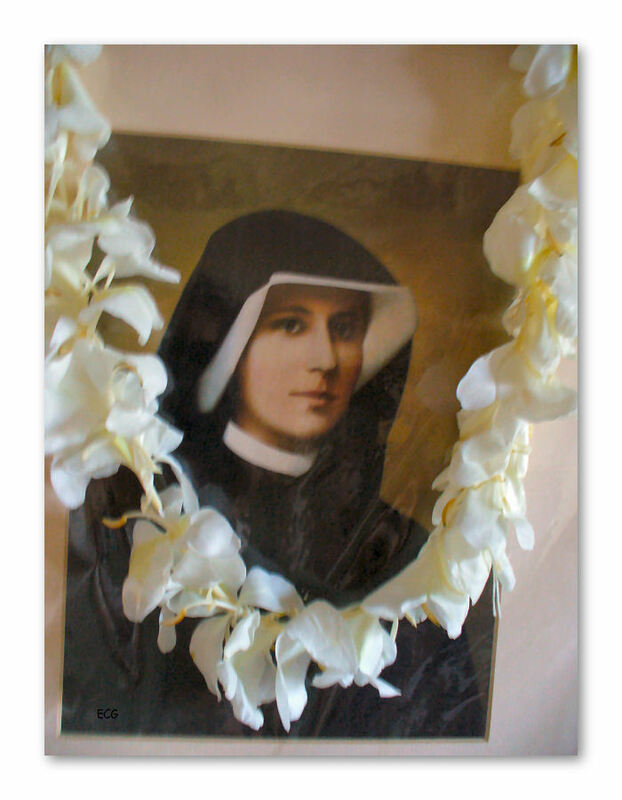 Updated News: St. Faustina, Doctor of the Church? On Sunday, April 30, 2000, Blessed John Paul II canonized his compatriot Sister Faustina Kowalska at St. Peter's Square in Rome. 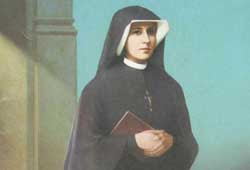 St Faustina was born on August 25, 1905 and died at the age of Thirty-three, on October 5, 1938. ...Today my joy is truly great in presenting the life and witness of Sr Faustina Kowalska to the whole Church as a gift of God for our time. 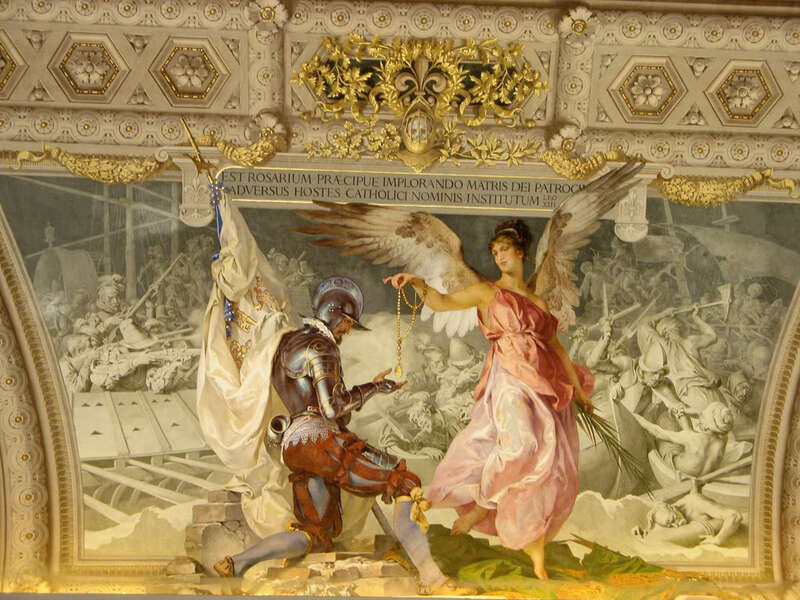 By divine Providence, the life of this humble daughter of Poland was completely linked with the history of the 20th century, the century we have just left behind. 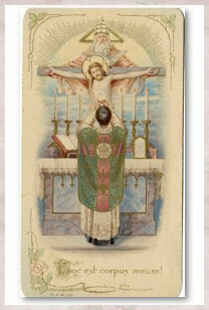 In fact, it was between the First and Second World Wars that Christ entrusted his message of mercy to her. Those who remember, who were witnesses and participants in the events of those years and the horrible sufferings they caused for millions of people, know well how necessary was the message of mercy. You can read the entire homily here. - "The rules that I most often fail to obey: sometimes I break silence; disobedience to the sign of the bell; sometimes I meddle in other people's affairs. I will do my very best to improve. I will avoid sisters who grumble, and if they cannot be avoided, I will at least keep silent before them, thus letting them know how sorry I am to hear such things. 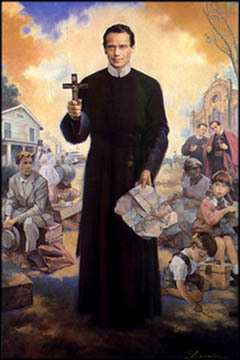 Blessed Francis S. Seelos, C.S.s.R. was born in Germany on January 11, 1819 and died on October 4, 1867 at the age of 48. 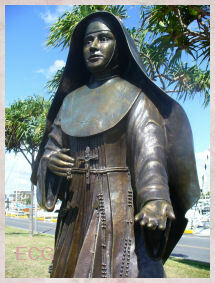 He was beatified on April 9, 2000 by Blessed John Paul II. 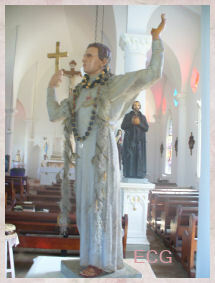 In 2009, Most Reverend Alfred C. Hughes, Archbishop of New Orleans, received a decree from Archbishop Albert Malcolm Ranjith establishing the celebration of Blessed Francis Xavier Seelos as an obligatory memorial in the Archdiocese of New Orleans and an optional memorial in each of the dioceses of the New Orleans Province. Instante Excellentissimo Domino Alfredo Hughes, Archiepiscopo Novae Aureliae, litteris die 29 ianuarii 2009 datis, vigore facultatum huic Congregationi a Summo Pontifice BENEDICTO XVI tributarum, libenter concedimus ut celebratio Beati Francisci X. Seelos, presbyteri, in Calendarium proprium Archidioecesis Novae Aureliae inscribi valeat, die 5 mensis octobris, gradu memoriae quotannis peragenda. Ex aedibus Congregationis de Cultu Divino et Disciplina Sacramentorum, die 31 mensis martii 2009. 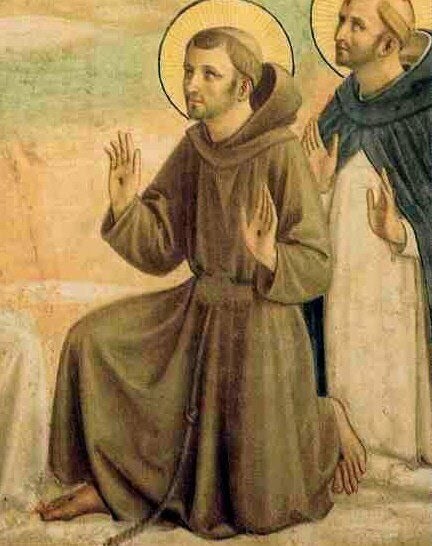 Thirteen Bon Mots of Blessed Francis X. Seelos, C.Ss.R. By Joseph W Oppitz, C.SS.R. Someday, I will become a second Francis Xavier. I was John Neumann’s subject, but was more like a son who needed help. In every respect, he was a remarkable father to me. If these riots continue, I may even have the privilege of becoming a martyr — a wonderful way to go to heaven. According to people I am a thorough saint. In reality, I am a thorough scoundrel. If the Church should ever decide to celebrate the feast of a rude rascal, [Secretary of War] Stanton would easily qualify — even with an octave. I love the work of the missions more than all other labors; it is a complete apostolic employment in the Lord's vineyard. I have made the rounds of all the houses in the province. Only New Orleans yet remains. I have come here to pass the rest of my days and find a lasting resting place at Saint Mary's. I feel I have traveled enough. I shall never leave New Orleans. So the doctor says I am to die! Oh, what pleasant news! How thankful I am! And to you, doctor, how much I have to return thanks for your kindness and attention to me! 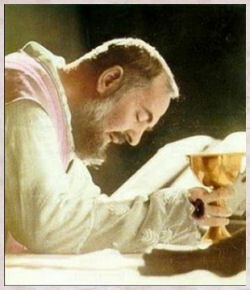 Thirteen "bon mots" or simple sayings of Fr. 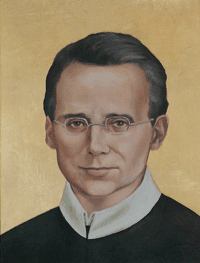 Seelos, taken from an article published in Spiritus Patris--some about the spiritual life, some just comments about current affairs — all showing the simple humanity of our beloved Father Seelos. May his smile dwell on those who find life burdensome. - by Byron Miller, C.Ss.R. Director of the Father Seelos Center. 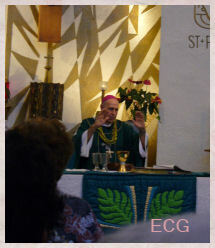 Father S. gave a homily on the above Gospel reading. Martha was very excited about Jesus coming over for dinner. She went in a frenzy of preparation to make sure that the meal would be perfect for their special guest. Even after Jesus arrived, she was still busy trying to make sure everything was perfectly prepared. Her sister, on the other hand listened to their very special guest. She gave him her undivided attention. Father S. brought it closer to home when he asked if perhaps we housewives and homemakers do the same thing when we invite priests over for dinner. Are we so busy preparing the meal, that we ignore our invited guest? Do we leave the priest alone while we are busy in the kitchen? 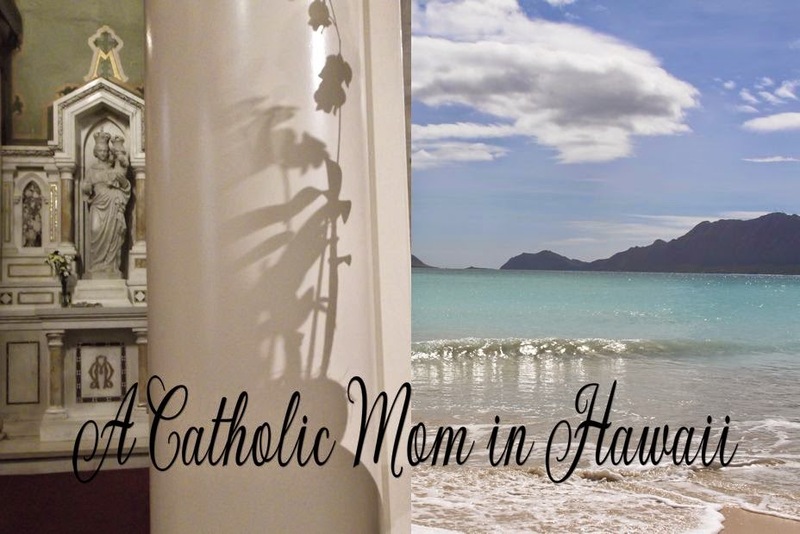 Do we instead rely on our family members...husband and children...to keep the priest company? Father went on to say that a priest can have a meal anywhere. It really wasn't the meal that brought him to our home. It was the company. It was a chance to talk with all the members of the family or household. 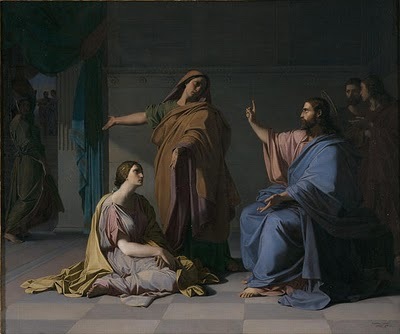 Father then finished this painful homily by saying that it may have been the only time our visitor came over to our home....and I was thinking to myself...and we blew it! "Fear God, love God, convert yourself from bad to good." 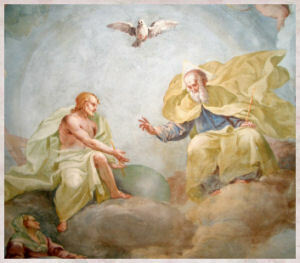 "As He revealed Himself to the holy apostles in true flesh, so He reveals Himself to us now in sacred bread. 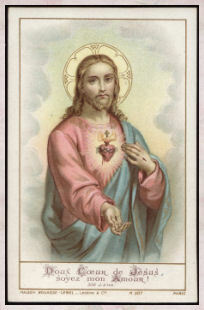 And as they saw only His flesh by an insight of their flesh, yet believed that He was God as they contemplated Him with their spiritual eyes, let us, as we see bread and wine with our bodily eyes, see and firmly believe that they are His most holy Body and Blood living and true. 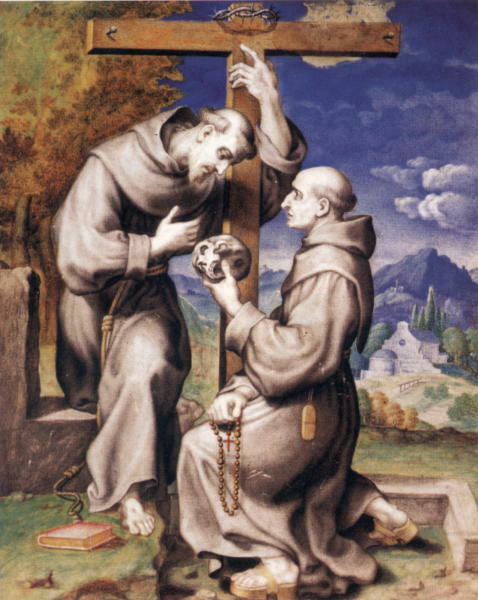 "I, Brother Francis, wish to follow after the life and poverty of our highest Lord, Jesus Christ, and of his most holy mother, and I will hold out in this to the last." "Someone who is truly poor in spirit hates himself and loves those who strike him on the cheek." "I feel that I am the greatest sinner that ever existed." 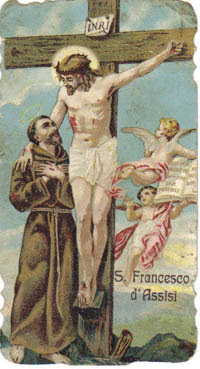 Quotation Source: To Live as Francis Lived by Foley, Weigel and Normile. "Prayer is the raising of the mind and heart to God. We should PRAY the Rosary rather than say it. 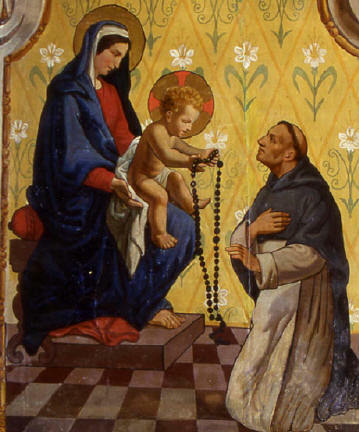 Counting prayers on beads was in vogue before St. Dominic's time. 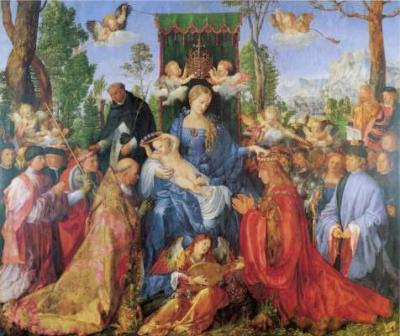 When Mary gave the Rosary to him,t he new thing added was meditation on the mysteries. This method of teaching the mysteries of religion produces in souls the life of Christ. 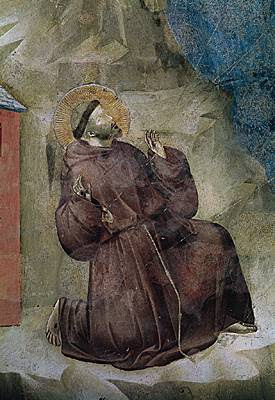 Contemplation of the Christian ideal is to be followed by action, or Christian living. 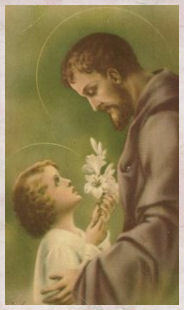 Jesus and Mary want you to join them each day to SHARE THEIR JOYS, SORROWS, and GLORIES. Here is a suggestion. Put yourself in the place of Jesus or Mary and live the mysteries with them. Be either on actor or a sympathetic spectator. 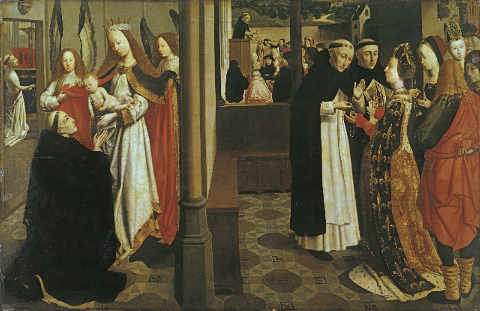 For example, in the scene of the Annunciation imagine that you are present and listening to Mary and the Angel talking together. Or imagine that you are the Angel Gabriel sent by God to announce to the Blessed Virgin that she is to be the Mother of His Son. Then silently receive her message and bear it back to God. Or again, at the third joyful mystery imagine that you are one of the shepherds adoring the newborn Babe in the stable of Bethlehem. At the third sorrow mystery feel that you are one of the soldiers forcing the crown of thorns into the Head of Christ by your many sins. A little practice will lead to satisfactory meditation. Much practice may lead to high contemplation.